This result might also force the BJP for a rethink on advancing the general elections. The result of the Kairana by-election, along with the by-poll results across the country today, clearly establishes the theory that only a united Opposition can trounce the BJP led by Narendra Modi. Although the numbers favoured the Opposition, the BJP put its best foot forward as always in Kairana. 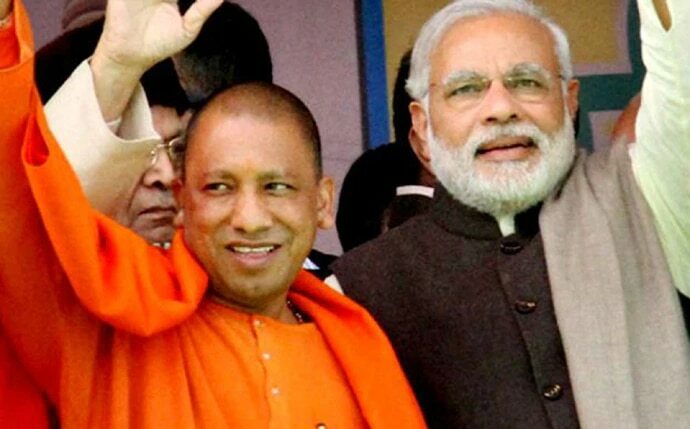 If Gorakhpur and Phulpur losses were bad enough, on the home turf of chief minister Yogi Adityanath and the seat vacated by deputy chief minister Keshav Prasad Maurya, this loss will sting the BJP even more. In an unprecedented move, even the prime minister had landed up in adjacent Baghpat with a bounty of promises a couple of days before the poll. It was ostensibly to inaugurate a portion of the Delhi-Meerut Expressway, but clearly intended to circumvent the Election Commission’s model code of conduct. It seems the law of diminishing returns has caught up with Narendra Modi as he battles anti-incumbency. With the farmers in Kairana facing the dual issue of sugarcane arrears from sugar mills and the hike in electricity rates by the Yogi Adityanath government, the slogan coined by Jayant Chaudhary — “Jinnah nahi Ganna" — resonated with the electorate and the BJP’s attempts at polarisation came a cropper. While the opposition can definitely take heart in this win, they should take their lessons from this victory and stick together in 2019 with this template of give and take. The BJP was always up against it in Kairana as the arithmetic clearly favoured the Opposition. The Opposition — the Samajwadi Party and the Rashtriya Lok Dal in particular — was smart with their strategy of candidate selection. With Ajit Singh-led Rashtriya Lok Dal wiped out of Uttar Pradesh’s electoral map after 2014, it was important for the Jat party’s survival that they had some representation. While Jayant Chaudhary himself was priming to contest initially, he was successfully persuaded by Akhilesh Yadav to put up Samajwadi party’s Tabassum Begum on an RLD ticket. Tabassum Hasan, widow of the late Munawar Hasan, comes from a political family and has represented this constituency from 2009-2014 as a representative of the BSP. Just as he put up Nishad Party chief Sanjay Nishad’s son Praveen Nishad on a Samajwadi ticket in Gorakhpur, this accommodative approach paid dividends and she was possibly the best candidate in the current circumstances. Tabassum Hasan’s candidature itself was half the battle won as she had the backing of all the Opposition parties even if BJP’s Hukum Singh had romped home with over 50 per cent vote share in 2014 on the back of the Modi wave and riding on religious polarisation. Hasan’s candidature also went some way in healing the deep wounds inflicted by the Muzaffarnagar riots of 2013, as reconciliation between the Jats and Muslims was put to electoral test. 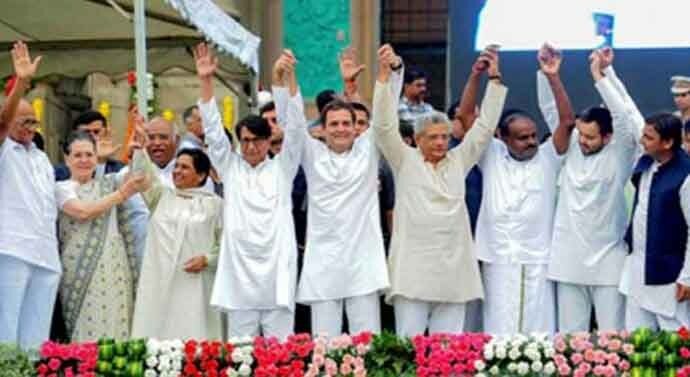 Message for 2019: Will there be political re-alignments among the Opposition parties? While the BSP and the Congress backed the candidate despite some hiccups along the way, the demography of the area was also stacked heavily in favour of the Opposition. The BJP did try their best to scrape through with multi-pronged strategies. While candidate Mriganka Singh refused to campaign on divisive issues, the organisation backing her did their best to polarise the situation on the ground. The BJP campaign in-charge Sanjiv Balyan and CM Yogi Adityanath himself repeatedly referred to these issues as late as a week ago. However, the Jats and even a sizeable number of Hindu Gujjars (the community Mriganka Singh hails from) had put these issues behind them as they struggled with bread and butter issues and stagnating income, of late. With Uttar Pradesh being the bellwether and swing state, this result comes as a huge setback for the BJP. Apart from Palghar — where the Opposition votes split — and an Assembly seat in Uttarakhand, BJP’s performance across the 10 states has been abysmal. Therein lies the biggest takeaway for the Opposition. Apart from the diminishing returns of Narendra Modi’s campaigning and anti-incumbency, farm distress and rising fuel prices have also contributed to BJP’s woes. With more fence-sitters like TDP’s Chandrababu Naidu joining the Opposition ranks, the BJP will have to go back to the drawing board. The success of the RJD in Bihar against the JD(U)-BJP alliance and the huge margin of the victory might also prompt the Nitish Kumars and the Ram Vilas Paswans for a rethink. As for the major Opposition parties, maintaining unity while keeping individual ambitions in check will be the biggest challenge as they go into 2019. By sheer numbers alone, they start as the favourites. But rather than being complacent, they should now try to align with each other on various issues and build synergy to convert the general election into a localised one in their respective states. Amit Shah has a rabbit up his sleeve and has devised a strategy to execute a three-way split of the OBC sub-quota in Uttar Pradesh — but that may still end up short. This result might also force the BJP for a rethink on advancing the general election to this winter as they battle heavy anti-incumbency in states like Madhya Pradesh, Rajasthan and Chhattisgarh. With no elections scheduled for a few months, it will be interesting to see if there are political re-alignments among the Opposition parties as they prepare for the general elections. Also read: Kairana by-poll results show Akhilesh Yadav is back in the game, but is Adityanath on his way out?